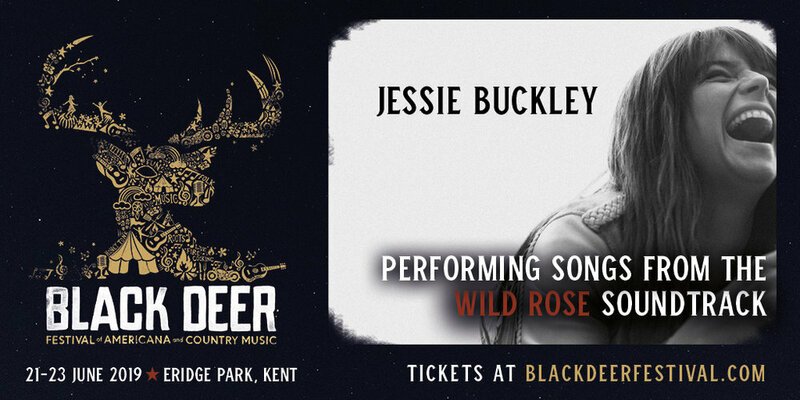 Black Deer Festival continues adding to their unique and authentic Americana and Country festival experience in the UK this summer, by adding Jessie Buckley - the phenomenal lead in the latest British drama-country-musical film Wild Rose. Revealed on the same day as the highly anticipated film release, this will also be the very first chance to see Jessie perform live this summer, adding an exciting new element to an already outstanding line up at Black Deer. Jessie Buckley will be performing the beloved songs from the films’ soundtrack such as Primal Scream’s ‘Country Girl’ and legendary country artists Emmylou Harris’ ‘Born To Run’ at the stunning Eridge Park in Kent this June. Gritty, inspirational and heartwarming, Wild Rose embodies country music in its purest form with Jessie Buckley’s character Rose-Lynn Harlan seeking out understanding and belonging as a modern-day outlaw. Hailed as “Irresistible” by The Telegraph and “Wonderful” by The Hollywood Reporter, the film’s themes resonate on every level with the ethos and aesthetic of Black Deer festival, and stands as yet another testament to the UK’s growing toe-tappin’ feelings towards the immersive lifestyle and genre. — Black Deer Co-founders and promoters Gill Tee and Deborah Shilling on Jessie Buckley and Black Deer.